Imagine a single lead surgeon conducting surgery on two patients under anesthesia at the same time. This sounds like a reckless practice, but overlapping surgeries provide a safe way to train future surgeons under the mentorship of the lead surgeon. Despite this benefit, the mere thought of over-taxing a lead surgeon has raised concern. But the lack of information on how patients undergoing dual surgery fared complicates the discussion. Researchers at University of Utah Health conducted the first review to evaluate post-surgery complication rates associated with overlapping surgery. The study focused on the role of five neurosurgeons at the University who conducted more than 1,000 overlapping surgeries from May 2014 to May 2015. The researchers reviewed the patients’ records to identify complications following surgery up to 30 days after discharge from the hospital. The outcomes were compared to patients of similar demographics who underwent non-overlapping surgeries during the same period. Overall, the study showed overlapping surgery was not associated with a higher rate of serious complications. In addition, it showed no difference between the two groups in duration of surgery or estimated blood loss, two important factors that contribute to complications following surgery. Patients from both groups that experienced increased risk of complications after surgery tended to be older and had a lower Body Mass Index. In addition, risk of complication was more closely associated with the type of surgery, again leading to longer time in the operating room and blood loss, rather than from overlapping surgery alone. The primary limitation to this study was the focus on a single surgical location and one subspecialty (neuroscience). Future work would elaborate on additional locations and surgery types to continue to evaluate potential increased risk of complications. Prior to this study, the American College of Surgeons released new guidelines to differentiate between overlapping and concurrent surgery to address public concern. 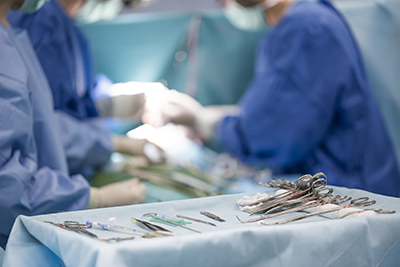 The new guidelines stress the need for the lead surgeon’s undivided attention during critical portions of the surgery, a discussion with the patient prior to surgery, and focus on patient safety. The researchers conclude that overlapping surgeries are not harmful provided the strict, new guidelines along with a requirement of skilled, experienced, board-certified lead surgeon are followed. Further, they believe that preventing this practice could have significantly negative effects on training the next generation of skilled surgeons that will deliver quality care in the future.